Do you know any dishes in which nutmeg is the main ingredient? I have to admit that I don't know the answer to this question. As I understood, an excessive consumption of nutmeg can lead to hallucinations, nausea and other unwanted symptoms that you don't want to know about unless your skepticism leads you to google it. Don't worry a few tablespoons of nutmeg won't harm you! At some point, in the life of an amateur cook, you feel that it is necessary to make your own version of products that are largely available in stores and see how it turns out. In the past, I tried several version of homemade ketchup (or catsup) that are available online. The taste was decent but none of these approach to the taste of Heinz ketchup. One day, I bumped into Michael Smith's Chef at Home show where he made homemade ketchup, I was shocked to hear that nutmeg is a key flavor to ketchup and he did put a few tbsp of nutmeg into his ketchup. I said to myself that this statement can't be right since most of the time, a pinch of nutmeg enough to enhance flavors to our dishes. I read some food blogs who also had some doubts about the quantity of nutmeg used and ended up using a pinch of nutmeg in their ketchup. At the end, they were more or less satisfy of their end results. Michael Smith's recipes have not failed me yet so I decided to take a leap and follow exactly his recipe. He was right, nutmeg is essential for ketchup and taste really close to the store-bought one. I still have a full jar of homemade ketchup lying inside my fridge. My only change to his recipe is to reduce the amount of red wine vinegar to 1/2 cup. 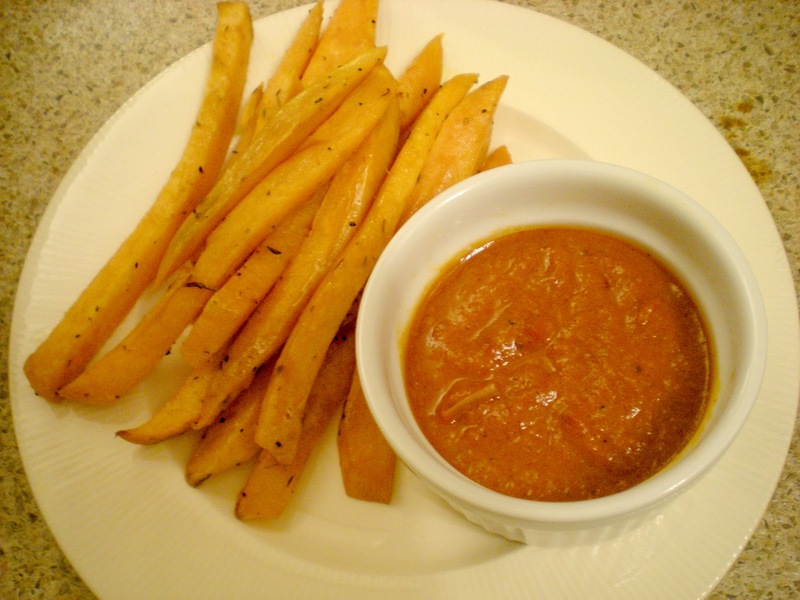 The best way to taste your homemade ketchup is to serve with healthy and tasty oven baked sweet potato fries with a hint of cumin and paprika. 1. Combine all ingredients into a large saucepan. 2. Place over medium heat and bring to simmer. Stirring occasionally, until mixture reduces to half, about 45 mins. Remove bay leaves. 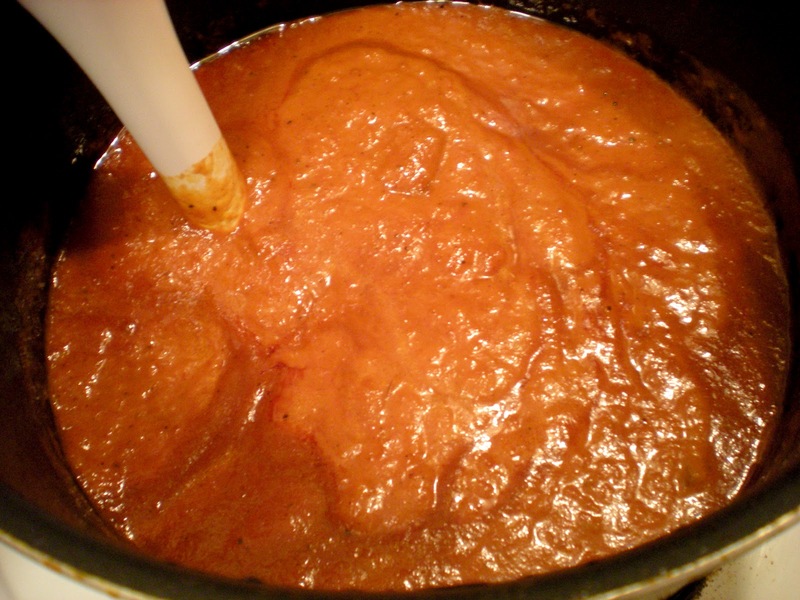 If necessary, use an immersion blender to make the ketchup even smoother. 4. 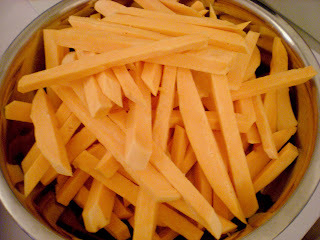 Meanwhile, prepare sweet potato fries. 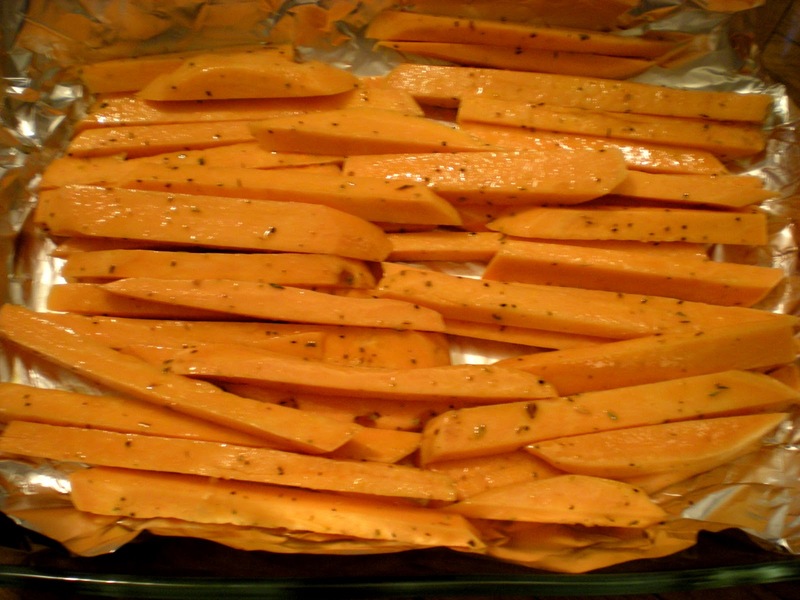 In a large bowl, combine sweet potatoes strips with spices. Drizzle with olive oil to coat. 5. Align aluminium foil onto a baking sheet. Arrange potatoes in a single layer. 6. Bake for 30-40 mins until soft and golden. Turn over fries halfway. Serve with homemade ketchup. I've never attempted homemade catsup, but I love the idea of controlling the ingredients. Thanks for the recipe, I'll be giving this a try. The fries look amazing! Very tempting fries and ketchup, am drooling here.. So much nicer than the mass produced version. I really got to try to make these oven baked fries, they look really fab, and they are way better for me than the fried stuff i love. I love that u used sweet potatoes. I always want to make ketchup at home and finally I found your recipe. 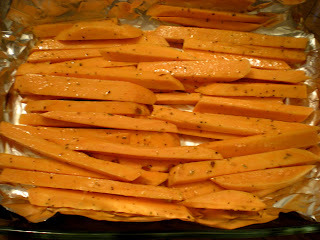 Thank you for sharing this awesome recipe and the oven baked sweet potato fries just looks amazing. I know what you mean about reaching a stage where you want to try making everything yourself. Haven't tried making ketchup yet, though. The fries look great. And yes, I've heard that nutmeg can have strange properties - in fact, I've heard that eating the equivalent of 3 grated nuts can cause death. So I would think even a few tablespoonfuls might be risky! Yum! I absolutely love sweet potato fries--they make an appearance on our dinner table almost once a week :) I've never seen a recipe for homemade ketchup before--such a great idea! And I'm definitely surprised about the nutmeg influence. A few tbs??? I made Chicken nutmeg once and that only uses 1tsp of nutmeg and I thought the taste was quite strong. Totally surprised about the nutmeg! The potatoes look really yummy! Thanks for stopping by my blog, and thanks for your kind comment. I'm also glad to have found your blog, really interesting things here! Victor, you post is so timely for me! I was literally perusing for a sweet potato fry recipe and here it is! Nicely done. I wanted to thank you for your comments about our macaroons, I will definitely try the egg yolk next time, I think you are right that it will provide a richer taste. I really appreciate that! I love homemade ketchup... and sweet potato fries ROCK!!! I would love to have a plate of these right about now.